and it is in dying that he is born to eternal life. Now we wait and watch and pray. Today – March 12 – the smoke was black. 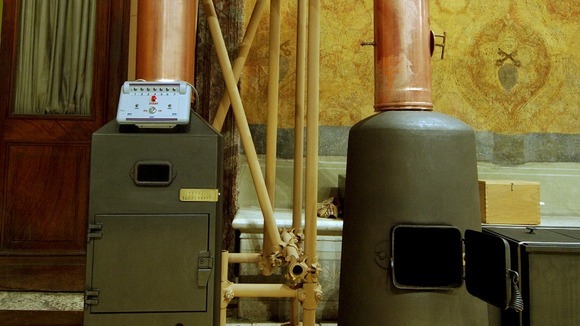 If nothing else, it proved that the furnace, the chemicals and the chimney work. There was only one round of voting today. Beginning tomorrow – March 13 – there will be two rounds of voting in the morning, and another two rounds of voting in the evening. If a Pope is elected in the first round of voting, the ballots are burned right away, with chemicals to turn the smoke white. If the first round of voting is inconclusive, a second round of voting takes place immediately, without burning the first set of ballots. 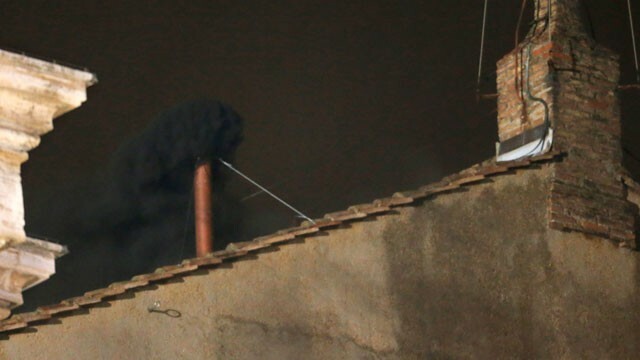 At the end of the second round of voting, ballots from the first round and the second round are burned together, and the smoke is made to be white or black, depending on whether or not a Pope was elected in the second round of voting. This means that, here in Milford, we could see smoke at one of four times. The times below are EDT. 5:30-6:30 a.m. – if we see smoke at this time, it has to be white smoke. 7:00 a.m. – at this time we will see smoke every day; it might be black, it might be white. 12:30-1:00 p.m. – if we see smoke at this time, it has to be white smoke. 2:00 p.m. – at this time we will see smoke ever day; it might be black, it might be white. After a white smoke signal, the bells of St. Peter’s Basilica will ring. 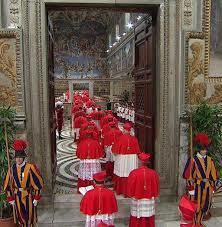 It then takes about 40-45 minutes before the new Pope comes out on the balcony. He must first accept the office, change to white vestments and pray alone in the Pauline Chapel. 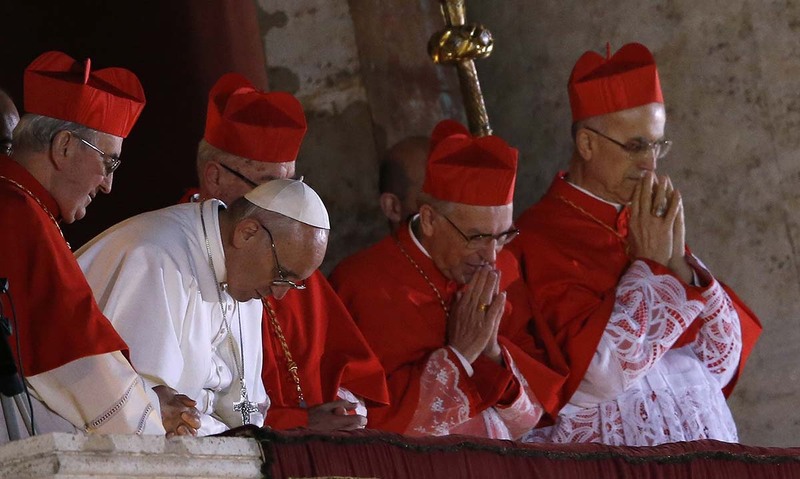 Then the cardinals pledge their obedience, and they pray again. Only then, about 40-45 minutes after we see white smoke will we know who the Pope is and what name he takes. Sister Mary Ann Walsh puts up her daily post on USCCBlog. Some of us like to act like we’re smart. 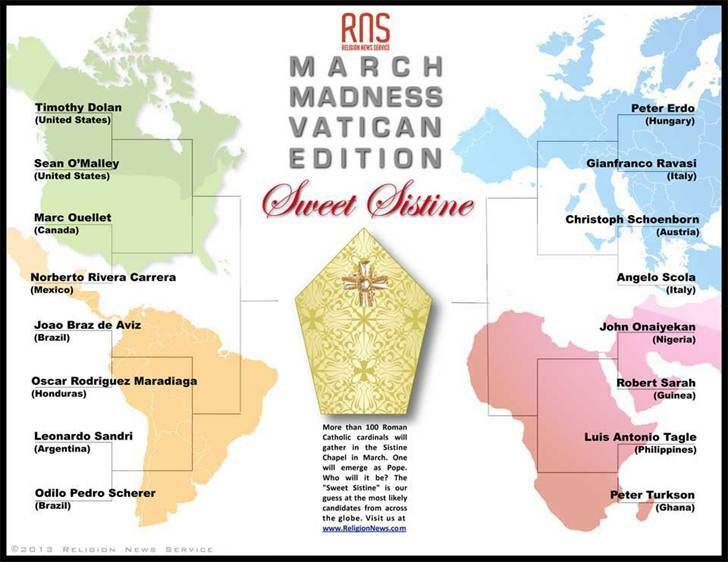 So, we use Latin phrases, like saying “sede vacante” to mean that there is no Pope. 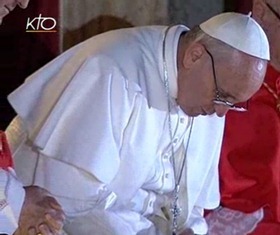 Literally, it means “the seat being vacant.” There is no one who sits in the Pope’s seat. There is no one who has the authority of the Pope, who exercises the role of the Pope, who holds the office of the Pope, who does the ministry of the Pope. You got it. 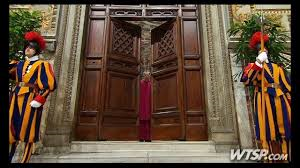 There is no Pope. We are popeless, but not hopeless. 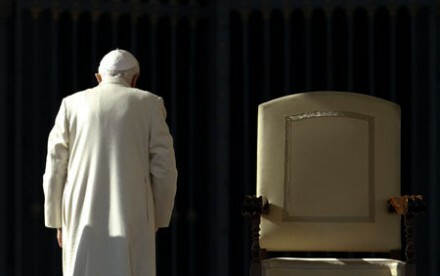 Benedict XVI has gotten up from the chair and has left it empty. But soon someone else will sit in that chair. The fact that there is no Pope makes for good conversation. The election of a new Pope provides entertainment. 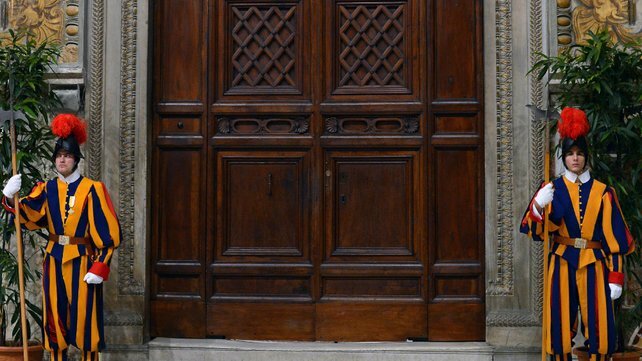 But we do not experience serious grief or anxiety over “the seat being vacant.” The sede vacante of the Pope doesn’t really immediately and intimately affect our lives. What grieves us more are the empty seats in our own personal lives that will never be filled. There is that empty seat at the Thanksgiving table, because that was dad’s chair, and he is no longer with us. You sit in your pew at Mass on Sunday morning with an empty space next to you, because that was where mom sat, until she left you. There is an empty stool at the breakfast counter. There is the empty seat on the passenger’s side of the car. 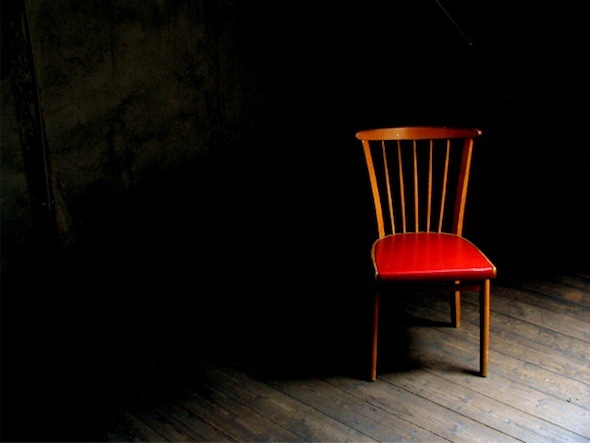 There is an empty chair at “our” table in our favorite restaurant. Sure, we pray for our church, for the election of a new pope. But that prayer will be answered, and we will stop praying it. We will get a new Pope. 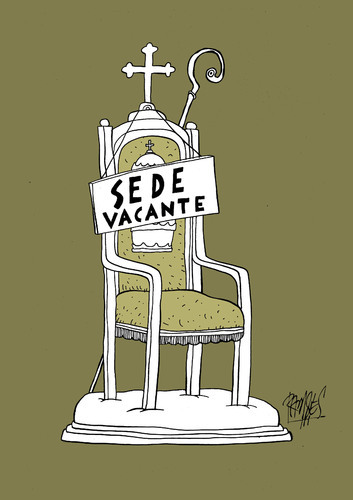 During the “sede vacante” it seems right and good and just to also acknowledge and reverence the empty chairs, the empty seats, the empty places in our own personal lives or in the lives of those who will never recover from the loss. It might be in Latin. It might be formal. It might be ceremonial. But the Master of Papal Liturgical Ceremonies means what he says. 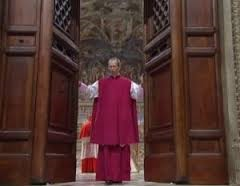 Everyone who is not permitted to be in the Conclave for the election of the new Pope must leave the Sisteen Chapel, and the doors are locked until a Pope is elected. What do you hope we will find in our new Pope? When people tell me that I would make a good bishop, I realize that many parishioners of many parishes say the same thing to their pastors. People love their parish priests. Period. Then I am quick to add, “I am not smart enough, not holy enough, and not confident enough. ” I mean it. I am not. So, I guess I think that the new Pope should be smart, holy and confident. 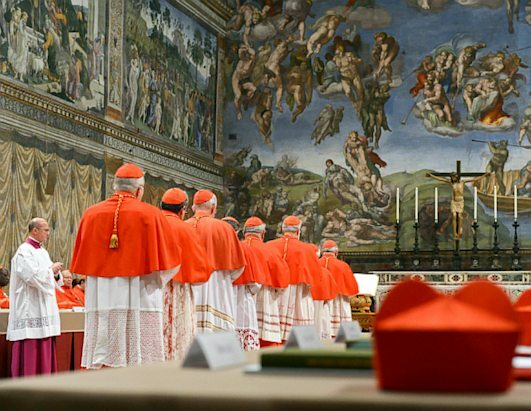 When I asked a parishioner what he thought the Cardinal-electors should be looking for, he said that they should keep everybody in the whole world in mind, not just the Catholics. Charlie said the Pope needs to be a Pope for all people and good for all people, not just for us Catholics. Father Peter Daly writes a good article (translate: one with which I agree) about what his hopes are for the next Pope. Just in case you don’t click your way to the entire article, here is some of what he says. Be aware that his article in printed in the National Catholic Reporter, known for its (far) left-leaning editorial slant. – has a sense of humor. So do I. What do you hope for in the next Pope? I am putting my money and my reputation on the line for this man. 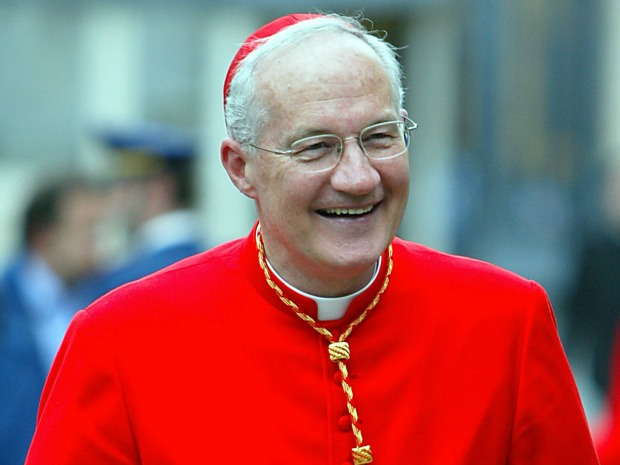 Cardinal Marc Ouellet will be elected on the third day of the Conclave and will take the name John XXIV. 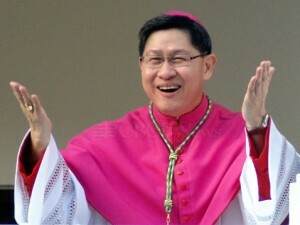 Cardinal Luis Tagle will be chosen on the second day, taking the name Paul VII.